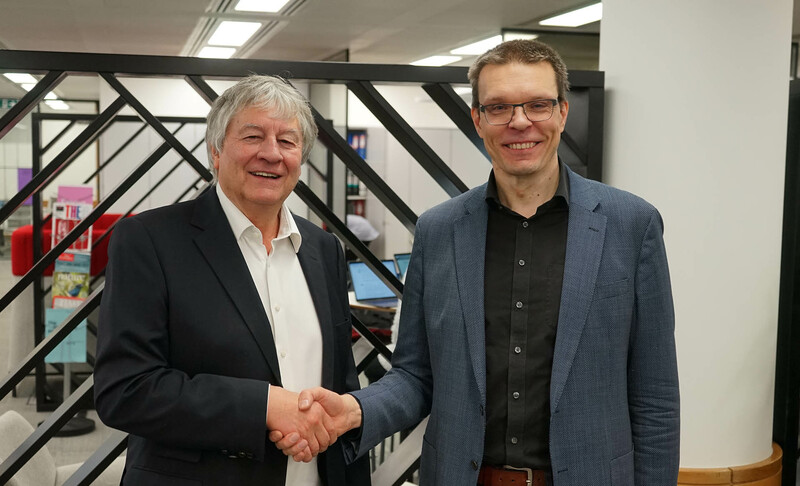 The Alan Turing Institute and The Finnish Centre for Artificial Intelligence (FCAI) have signed a memorandum of understanding (MOU), formally creating an ambitious agreement centred around the Turing’s data-centric engineering programme, a major research programme funded by the Lloyd's Register Foundation. The FCAI – which conducts fundamental research on AI in cooperation with businesses and public sector organisations - is funded by the Academy of Finland. The MOU will enable both institutions to embark on shared research and translation projects. This will include the development of AI methods to improve the diagnosis of Diabetic Retinopathy - a project which is establishing one of the largest data collections of retinal images and optical coherence tomography (OCT) scans in the world. Diabetic retinopathy is a complication of diabetes caused by high blood sugar levels damaging the back of the eye (retina). It can cause blindness if left undiagnosed and untreated. Prof M. A. Girolami the Turing’s Director of Data Centric Engineering programme (and Sir Kirby Laing Professor of Civil Engineering at the University of Cambridge and the Lloyds Register Foundation-Royal Academy of Engineering Research Chair in Data Centric Engineering) has been appointed as Adjunct Professor of Machine Learning at Aalto University, which will help develop the partnership.